This year, The MICHELIN Guide Hong Kong Macau Dining series has invited some of the best chefs from MICHELIN-starred restaurants around the globe to cook for discerning diners in Hong Kong and Macau. 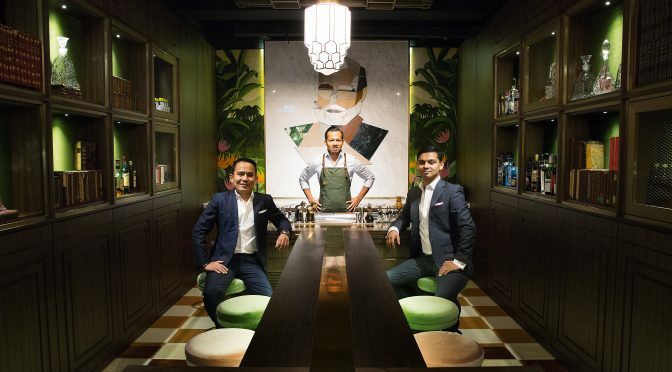 In May, gourmets and wine aficionados will experience the combined forces of modern culinary stars at Yí on the 21st-floor Sky Bridge at Morpheus, including next-generation Chinese chef duo Wilson Fam and Angelo Wong of Yí, and Vicky Lau. The undisputed queen of innovative French-Chinese fine dining in Hong Kong, Chef Vicky Lau presents a special Yi x Tate Dining Room Special International Chef Showcase Menu that will feature several signature dishes from Tate Dining Room’s seasonally evolving tasting menu of “Edible Stories”. This year’s International Chef Showcase will see four key four-hands collaborations throughout the calendar year – full line-up and dates to be announced soon.